Comments: This is a highly popular indoor tropical plant that does well even with considerable neglect. Its main features are the large, coarse textured leaves and the white flowers that appear sporidically on tall stems above the foliage. Provide a fertile, well drained soil and morning sunlight if possible. This plant will survive in rather dimly lighted spaces. 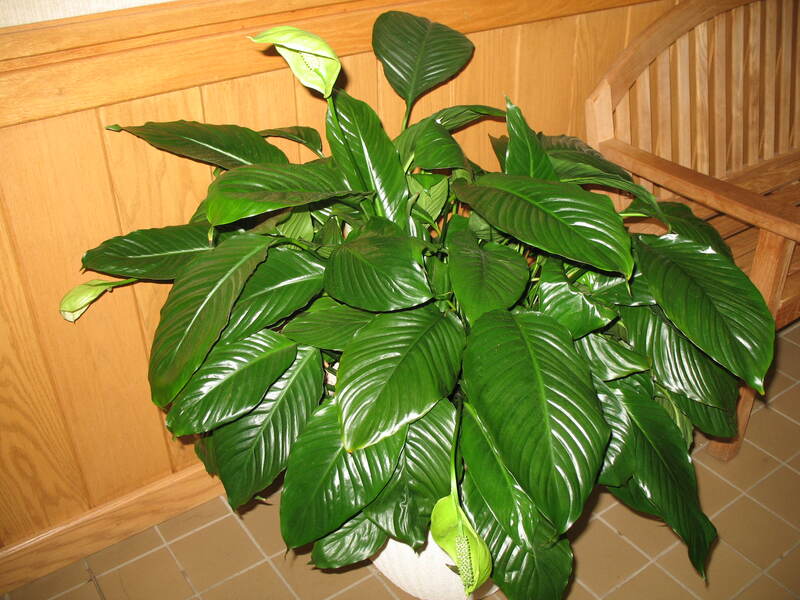 Fertilize indoor plants when conditions are favorable for growth. There are some insects and diseases that attack this plant, but normally when plants are under stress. This tropical cannot tolerate freezes.